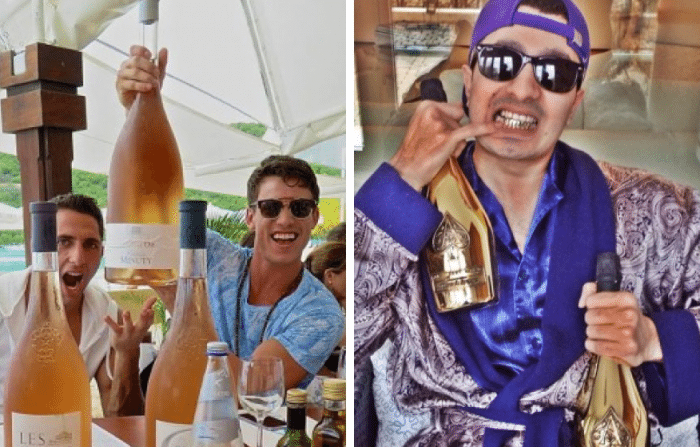 Are rich people douchebags? According to the research, the answer is: YES. Several top universities including UC Berkeley and UCLA and concluded that rich people are more likely to lie, cheat, steal and, in general, be huger douchebags than their poorer counterparts. Check out the studies below. They are the drivers on the road you despise. In one study done by Dacher Keltner of UC Berkeley’s psychology department, cameras and note-takers were installed at city street intersections with four-way stop signs. The researchers found that drivers in expensive cars were four times more likely to cut people off than drivers in inexpensive cars. After following the same cars until they reached a crosswalk, the researchers then posed as pedestrians waiting to cross the street. They found that drivers in expensive cars were three to four times more likely to avoid the pedestrians right of way, compared to those driving cheap cars. In a separate study by a team of researchers in Manhattan, they found that drivers of expensive cars were much more likely to double park. They’re more likely to steal. In a study done by the New York State Psychiatric Institute, they interviewed 43,000 Americans and found that rich people were much more likely to shoplift than the poor. Additionally, in another study done by researchers at UC Berkeley, participants were asked to come into a lab to perform a series of tasks. As the participants were leaving the lab, they passed a jar of candy with a big sign indicating that the contents were only for children. The researchers found that the richer the person was, the more likely he/she was to ignore the sign and take the candy. They’re more likely to cheat. UC Berkeley Professor Paul Piff did a study where he had participants play a game with a $50 cash prize. He found that those who made $150,000 a year cheated four times as much compared to those who only made $15,000 a year. They give away less of their wealth than poor people. In a study by a coalition of nonprofits called the Independent Sector, it was found that people who make below $25,000 give away, on average, 4.2 percent of their income, while those who make $150,000 and beyond give away only 2.7 percent. They are more likely not to care about others’ sufferings. UCLA neuroscientist Keely Muscatell published a paper revealing that the brains of richer people exhibit less activity in the regions of the brain associated with empathy when shown pictures of kids with cancer. This could explain the trouble rich people seem to have relating to the masses when they run for political office *cough* Mitt Romney *cough*. They’re more likely to let money define their happiness. Even though the saying goes that “money doesn’t buy happiness,” it seems that most rich people have yet to internalize this concept. They are more likely to manipulate people to their advantage. In another study by Paul Piff and his team, participants were assigned the role of an employer negotiating salary with a job candidate who wanted a long-term position. The “employer” was told that the job was temporary and would not be around for long, with disclosure of that information to the candidate left entirely up to them. The researchers found that the richer participants were more likely to withhold this important information in order to gain an advantage on the candidate. … Unfortunately, poor people can be douchebags too. Perhaps the most chilling study — coming out of, yet again, UC Berkeley — is one where researchers led participants to think about the advantages of greed. The participants were then presented with scenarios of unethical workplace behaviors such as bribe-taking, stealing cash and overcharging customers. The researchers found that poor people were just as likely as rich people to admit that they would engage in these behaviors once they were aware of the benefits.